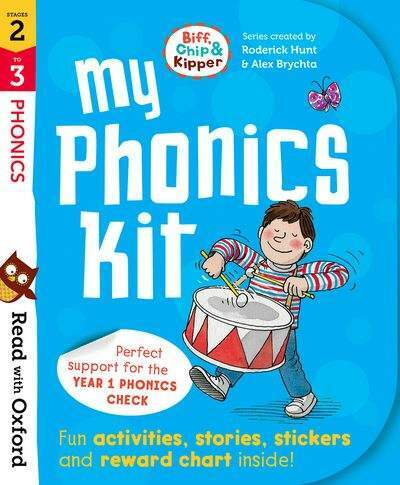 If you have a child in Year 1, you may have heard of the phonics screening check. Here we explain what the phonics screening check is and give some helpful tips about how to support your child’s learning. The phonics screening check is taken each June by all Year 1 children in England. It is not a formal test, but it is designed to give teachers and parents information on how your child is progressing in phonics. The phonics screening check will help to identify whether your child needs additional support at this stage so that they do not fall behind in this vital early reading skill. What will my child be expected to do? There are two sections in the 40-word check. It assesses phonics skills and knowledge learned through Reception and Year 1. Your child will read up to four words per page for their teacher and they will probably do the check in one sitting of about 5–10 minutes. It checks that your child can use their phonics skills to read simple one-syllable and two-syllable words, e.g. cat, sand and windmill. They will also be asked to read a selection of nonsense words which are referred to as pseudo words. These are made-up words that children can read using their phonics skills, e.g. brip, snorb. Pseudo words are included in the check to see if your child can read a word using phonics skills and not their memory. Try to read to and with your child. Just ten minutes each day can make all the difference. As well as the books that your child brings home from school, why not read an eBook together? Oxford Owl has a free eBook library where you can read together online. Play simple phonics word games based on the sounds your child is learning and has learned at school. If you are unsure what sounds your child has been learning in school then do ask the teacher. They will be happy to share this with you. Schools often inform parents about the phonics programme they use and the order in which they teach the sounds. Start off using just the speech sounds and then immediately say the word, e.g. At the shop I will buy a … /m/ /a/ /p/ – map, a /b/ /e/ /d/ – bed, a /d/ /u/ /ck/ – duck. Encourage your child to join in after you have modelled this for them. Then say the sounds and ask your child to say the whole word. Play ‘Speedy Speak’. Make or buy small flashcards with the speech sounds on them. Keep a set in your bag to play while waiting for a sibling, or going to a café. Using the timer on your mobile phone, select the sounds and letters your child has been taught so far. Place them in a pile. Start the timer (set to whatever time you wish, e.g. 30 secs). Ask your child to turn over the cards one at a time and say the sound clearly. If they get to the end of the pile before the timer stops, they keep turning over the same cards. Count how many times they say a sound correctly. Keep a note and next time tell them that you’re going to see if they can beat their record! Visit the Phonics made easy page and our other phonics blog posts to find out more about phonics, to hear the letter sounds, and for further hints and tips on how to help your child. Blog: What are reading schemes and why do they matter? 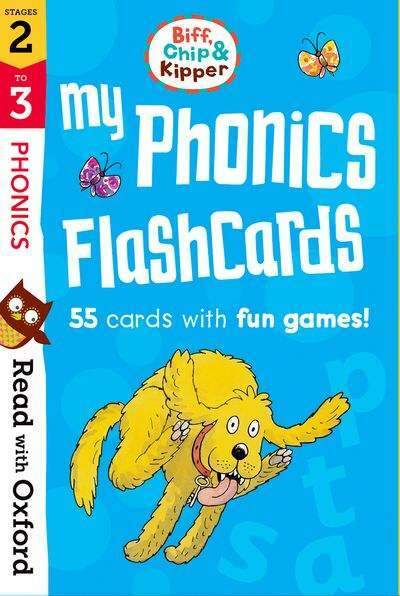 My Phonics Flashcards are a fun way for children to practise their letters and sounds at home – just as they do in school. Four different phonics games will help children to learn that one sound can be represented in several ways, blend sounds together to read words and develop memory and concentration skills.